With the addition of the Toro Dingo TX 1000 and TX 1000 Wide Track models in 2016, Toro says it offers the broadest range of compact tool carriers on the market. 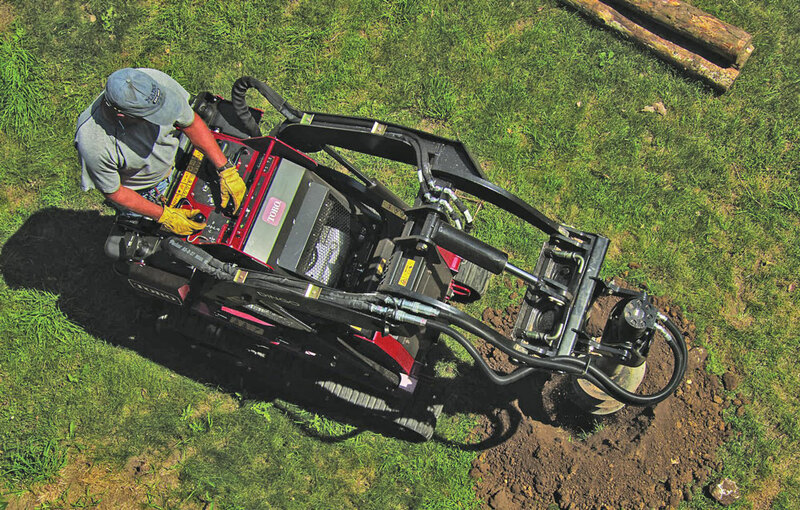 Toro gives customers excellent CTC solutions — from the entry-level wheeled 323 all the way up to the TX 1000 Wide Track — which boasts a rated operating capacity of 1,075 lbs. In addition to these trusted Dingo models, Toro will be launching the largest compact tool carrier on the market later in 2018 — adding even more power and range to the Dingo product family. The new TXL 2000 will feature telescoping loader arms to provide optimal versatility and streamline operations on the jobsite. This is especially useful in instances where extended reach is important to operator safety. Currently in the final stages of development and testing, the TXL 2000 represents a continuation of two decades of dedication to and innovation of the compact tool carrier equipment class. For more info on Toro products, click this link.